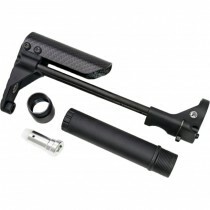 PDW stock with 5 locking positions. CNC milled aluminum. Remark: Designed for WA & WE Gas Blow Back Rifles, can also be adapted to the PTW platform with modifications.